This Roasted Asparagus makes a delicious, easy-to-make side dish. In this recipe, asparagus is lightly brushed with olive oil, seasoned with salt and black pepper and roasted. 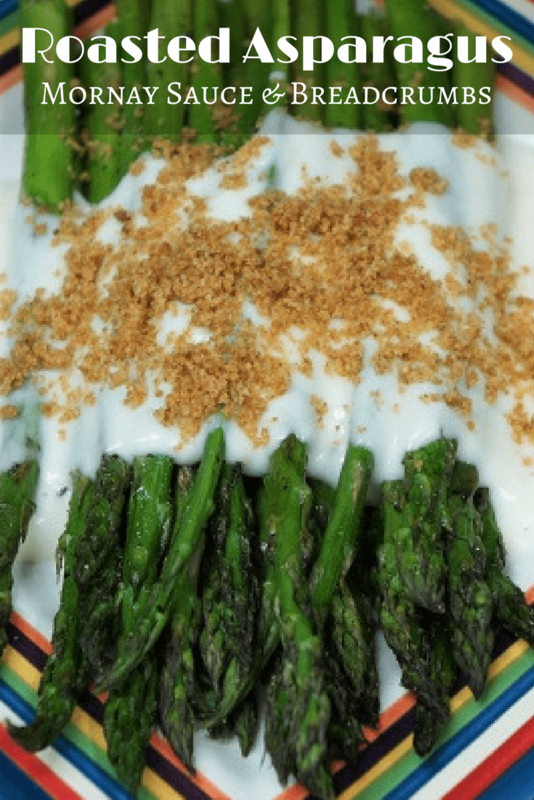 We serve the asparagus with a cheese sauce (mornay) and crunchy breadcrumbs. Both of which come together quickly and make this side dish worthy of a special occasion. Enjoy! Place the asparagus in one layer on a large baking sheet, side by side without mounding. Brush the asparagus lightly with the olive oil, roll them a little bit to get the oil on all sides. Sprinkle the asparagus with a pinch of salt and black pepper, again rolling them to get the seasoning on all sides. Set aside. Melt 1 tbsp. of butter in a skillet over medium-low heat. When the butter is melted, add the breadcrumbs. Stir well until the breadcrumbs are moist. Cook the breadcrumbs for 5 minutes, stirring frequently until they start to brown. Remove the skillet from heat and set aside. Heat the milk in the microwave until warm. Set aside. Melt the remaining 2 tbsp. of butter in a large sauce pan, over medium-low heat. Add the flour to the pan and whisk until incorporated. Cook the flour for 1-2 minutes, stirring almost constantly. Gradually add the warm milk, whisking constantly until the milk is incorporated and the sauce is smooth. Stir in ¼ tsp. salt, a pinch of pepper and add the bay leaf. Raise the heat to medium and bring the sauce to a simmer. 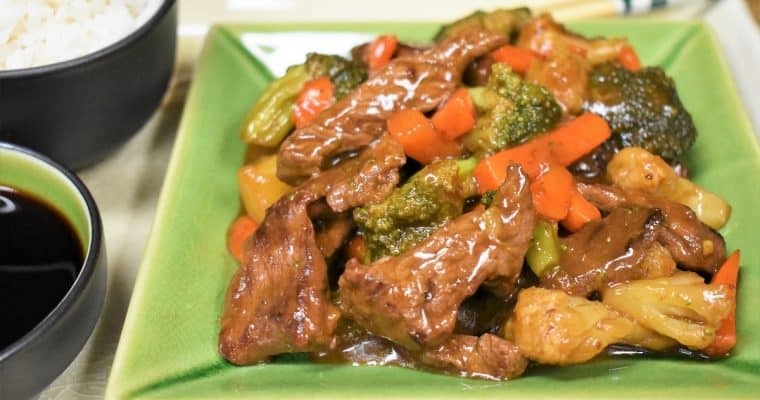 Lower the heat to medium-low and cook the sauce about 3 minutes, stirring frequently. The sauce will thicken as it warms and comes to a simmer. It will happen, be patient, don’t crank up the heat. Also, it’s important to never leave milk/cream on the stove unattended. Keep an eye on it and don’t leave the stove’s side. Remove the bay leaf from the sauce and discard. Off the heat, add the shredded cheddar cheese, stir until melted and smooth. 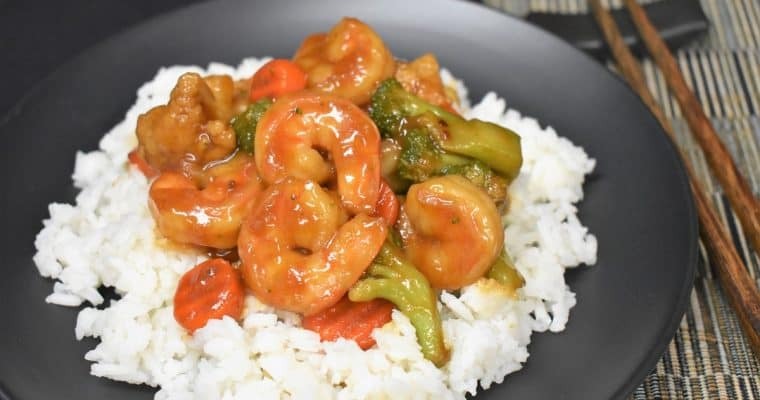 Taste the sauce and add salt and pepper only if needed. Keep the sauce on low heat and give it a quick stir every once in a while. Cook the asparagus in the preheated oven for approximately 10-12 until crisp tender. The cooking time will depend on the thickness of the asparagus spears. 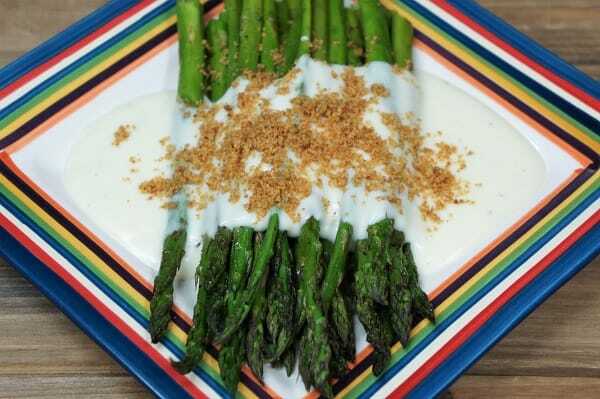 Serve the roasted asparagus with the cheese sauce and crunchy breadcrumbs. Enjoy!